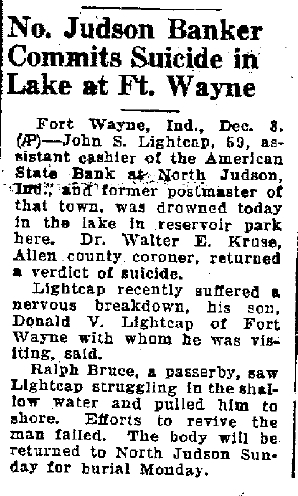 Anyway, I found an article on the front page of the Logansport Press (Logansport, Indiana) on Dec 9 1939 discussing the death of John Sherman Lightcap . The article states that John committed suicide by drowning. Fort Wayne, Ind., Dec 8 (AP) – John S. Lightcap, 59 assistant cashier at North Judson, Ind., and former postmaster of that town was drowned today in the lake in reservoir park here. Dr. Walter E. Kruse, Allen county coroner, returned a verdict of suicide. 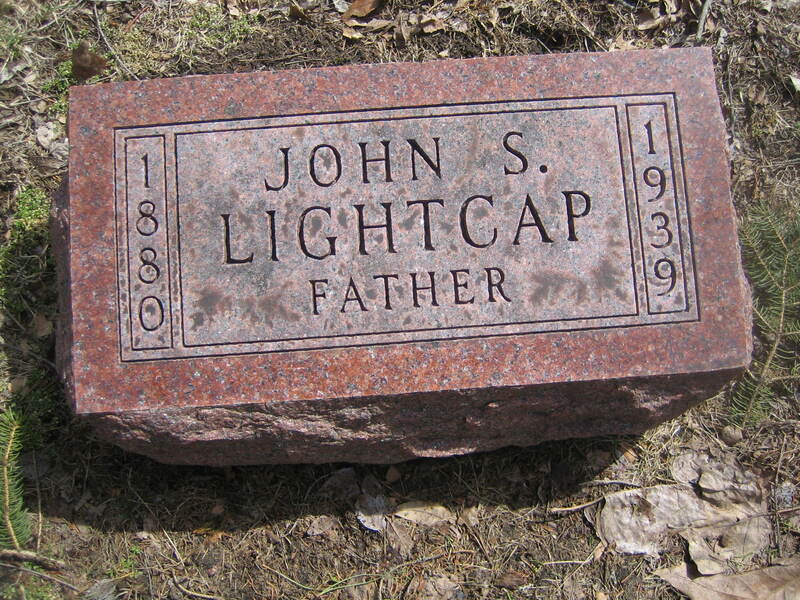 Lightcap recently suffered a nervous breakdown his son, Donald V. Lightcap of Fort Wayne with whom he was visiting, said. Ralph Bruce, a passerby, saw Lightcap struggling in the shallow water and pulled him to shore. Efforts to revive the man failed. The body will be returned to North Judson Sunday for burial Monday.